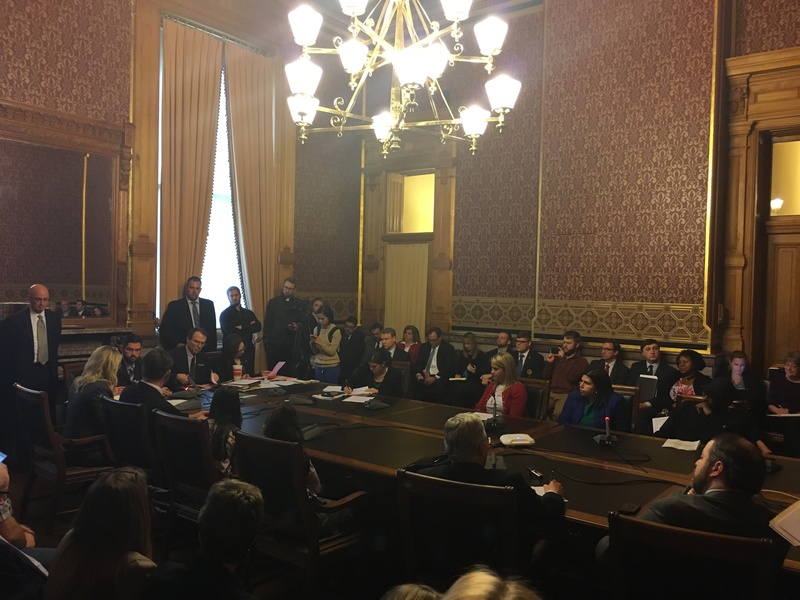 HSB 133, commonly referred to as the “Gun Omnibus Bill”, was referred to the House Judiciary Committee following a subcommittee hearing on Thursday. The subcommittee was chaired by Representative Matt Windschitl (R, Missouri Valley), with Representative Greg Heartsill (R, Melcher-Dallas) and Representative Mary Wolfe (D, Clinton). Included in this bill are the removal of an age limit to possess a handgun (currently no one under the age of 14 may have one), making Permits to Carry confidential (they are public record right now), preemption of gun-free zones by the state, allowing pistols and revolvers to be carried at the Capitol, prohibition for the legislature to remove weapons during a state of emergency, allowing individuals to carry while on a snowmobile or ATV, elimination of the prohibition on short-barreled rifles and shotguns, removal of the requirement to have a permit to carry a weapon (Constitutional Carry), and elimination of the obligation to retreat from trespassers (Stand Your Ground). Speakers on behalf of the bill included minor competition shooters Meredith and Natalie Gibson and their father Nathan, Richard Rogers and Barry Snell of the Iowa Firearms Coalition, Scott Rausch, a representative for the National Rifle Association in Iowa, and Mark Maxwell of ABATE Iowa. “We’re not trying to form a toddler militia. We’re not trying to conceal and carry,” said Meredith Gibson. “Iowa is the only state where my daughters Meredith and Natalie can’t shoot. This bill is not about kids shooting guns with no supervision. They would still have to have a qualified adult supervising them,” said Nathan Gibson. Scott Rausch emphasized that many aspects of this bill have already received bipartisan support in both chambers. Additionally, Richard Rogers said that “This bill will streamline our weapons policy”. Barry Snell told of excitement that members of the Iowa Firearms Coalition share about the future of Second Amendment rights in Iowa. “This is a historic opportunity to change Iowa so that the Second Amendment is no longer a second-class right,” said Snell. Several opponents of the bill were also present. Groups registered against HSB 133 include the Iowa Association of Community College Trustees, Iowa Central Community College, Iowa Catholic Conference, Iowa Association of School Boards, Board of Regents, Iowa Hospital Association, Blank Children’s Hospital, Iowa Annual Conference of the United Methodist Church, Iowa Citizens for Community Improvement Action Fund, and Iowans for Gun Safety. Representative Wolfe said that she “would vote on many of these as individual bills, but has some concerns about some sections”. Representative Heartsill stated that “The bill is a work in progress, and several components have bipartisan support”. 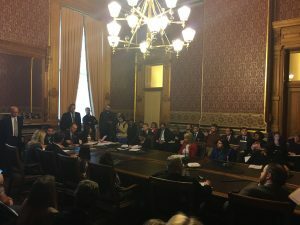 The bill was referred to the House Judiciary Committee, with Representatives Windschitl and Heartsill voting Aye and Representative Wolfe voting Nay. MacKenzie Dreeszen is a legislative assistant for the Iowa House and a political consultant specializing in fundraising.